I recently returned from Hippocrates Health Institute in Florida where I did the three-week life-change programme. The purpose of my visit? To discover the ultimate healing diet for cancer and other diseases. Do I believe I have found it? Yes I do. 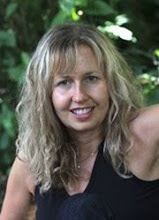 I am a Medical Herbalist of sixteen years, originally inspired to study herbs by my own healing journey aged eleven years old. I had Plasma-cell leukaemia then and sarcoma in my thigh muscle. The tumour was removed, but my parents were told that there would be no cure for me – the best that we could hope for was that chemotherapy would prolong my life by a few months. 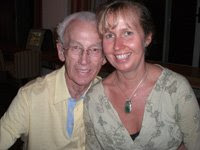 My parents made the brave decision to refuse conventional medicine on my behalf in favour of treatment from a naturopath in Manchester UK called Mr Norman Eddie. He immediately put me on the Gerson Therapy consisting of juices, (half of them green, the other half made from carrots), coffee enemas, vitamins and herbs. A vegetable-based salt-free, sugar free, vegan diet completed the programme. In six weeks, my energy had returned and I felt like a completely different person. My Dad recalls the profound change in me with happiness, as he witnessed his daughter literally coming back to life. He says my hair suddenly seemed to shine again. Six months later, a very bemused consultant wrote “spontaneous recovery” on my notes. The whole experience had a huge effect on me and when I was old enough, I went to Herbal Medicine College to pursue a four-year full-time training course, which resulted in my becoming a Medical Herbalist. Over the years, I have treated people with all kinds of diseases and developed a particular interest in treating digestive disorders. Even though I had healed my own cancer, I was, however, fearful of treating other people with the disease. As a practitioner of alternative medicine, it is illegal for me to even say that I can help people heal their cancer, so whenever people with cancer consulted me, I always managed to refer them on to other practitioners. 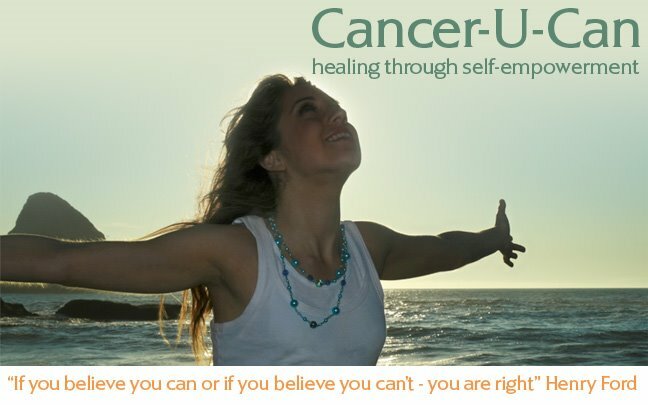 That is until cancer came my way in a form I could not pass along to the next practitioner – this time the cancer was my own. For 32 years, I had been healthy and now at the age of 42, I was diagnosed with ovarian cancer. Or put more accurately, I diagnosed myself following a partially collapsed lung, which resulted from fluid in the pleural space. Internet research led me to discover that a pleural effusion can be the result of ovarian cancer – so I went to my GP and asked for an ultrasound scan and a blood test to measure CA125 (the tumour marker for ovarian cancer). I was completely shocked then to discover that my CA125 was extremely high at 9,600 (should be below 35) and both ovaries had solid tumours indicative of cancer. My oncologist told me that I needed to have a full hysterectomy and have my appendix removed and omentum, followed by chemo and radiotherapy. He said that if I followed his recommendations that I had a 20 to 30 percent chance of being alive in 5 years and a 10 percent chance of being alive in 10 years time. Due to pressure on the National Health Service, however, I would have to wait a month. Thank goodness for our inefficient NHS! I had time to think about how I was going to save my life. My healing journey had begun – I was terrified, but I tried my best to view it as an adventure. Another major support for me was my very good friend Sidika Petterson – herself a complimentary therapist. She decided to make my recovery her main focus. She always believed I was going to recover and held the torch of this possibility for me during my darker hours. I am deeply touched and grateful to her for this love and dedication. First stop was to visit a shaman in Devon, UK. Sidika had been hearing good things about Peter Aziz and had had a conversation with him. He was running a ‘Point-holding’ course which he said was very helpful for dealing with cancer. Armed with my juicer and enough coffee to do daily coffee enemas, I spent 2 weeks with him and a wonderful group of people who helped me to release some blocked emotions. I began to understand how my unresolved grief about my Mum’s and my sister’s deaths was literally killing me. I also unlocked a lot of grief about a relationship, which had ended 10 years ago – I realised that I had not opened up properly to love since then. I began to really allow my sadness and fear in a way that I had never done before. I went back to my consultant, even though I had decided by then that I was going to refuse the treatment he wanted to give me. He was amazed to discover that my CA125 had decreased by 2000 to 7, 500. Also the fluid had gone from my lungs. However, a more thorough blood test than was previously done, revealed that another kind of tumour marker was present in the blood – CEA. It was very high, at around 1300 when it should be less than 5. I was told that the most likely scenario was that I had a primary tumour elsewhere – possibly the stomach or the pancreas or colon. They were not prepared to scan me as that was too expensive, but they wanted to remove an ovary to discover where the primary cancer site was. The shaman had said to me that the best way to heal was to keep out of the way of the medics because they would only fuel the fear and that it was fear that made tumours grow. It was hard to walk away from orthodox medicine – but I knew that was exactly what I had to do. The GP agreed that they would monitor me with blood tests and in fact they did agree to let me have an MRI scan in November. The result was shocking – it revealed a tumour on my cervix. I decided to go back to see the consultant at this point and I let him do the most incredibly painful and barbaric biopsy without anaesthesia (he had told me it wouldn’t hurt – that it would feel a bit like period pains!). So the mysterious primary tumour was no longer a mystery – my diagnosis? Cervix adenoma carcinoma metastasised to the ovaries. A blood test showed that the CA125 had increased and worryingly, my belly began to swell up – I was starting to look pregnant. Added to this, my lung had filled up with fluid again and I was having difficulty breathing. I had to face that I was not getting on top of this with diet and my attempts at positive thinking alone. The time had come for me to do something drastic – I had bought a book by Bill Henderson called “ a guide to gentle non-toxic healing” I read about Insulin Potentiated Chemotherapy which is done with full whole body hyperthermia. It goes like this: they give you a general anaesthetic, heat you up to 41.6 degrees C using heat lamps, put glucose in to your vein followed by insulin, the combination of which makes cancer cells very active – they start munching all of the glucose up, then in to the vein goes the chemotherapy and the only cells that get it are the active ones (i.e. the cancer cells). This means that only 10 percent of the chemo drugs are necessary and that your immune system and hair follicles are saved from the devastating effects normally resultant from chemo. Combining the IPT with hyperthermia makes for a deadly combination as far as tumours are concerned. The following day, a very good friend called me up, had I heard of Insulin Potentiated Therapy? She asked me. I believe that when life guides you, you get messages about what you need to do from more than one source - I felt was being guided to go for the IPT. Off I went to Dr Douwes Clinic in Bad Aibling Bavaria – alone, poorly and scared and ready for some radical healing! I retuned home a week later for Christmas, and then 2 weeks later, off I went again for 2 more weeks. My hair did not fall out, but I still felt incredibly toxic. The first treatment had caused me to have a deep vein thrombosis and as a result I had been injecting myself with Heparin on a daily basis. When I was at the hospital for the second time, I had a brain haemorrhage due to the Heparin! – the symptom of which was vision problems. This led me to have a brain scan and to the subsequent discovery of brain tumours – between 5 and 7 of them! I was supposed to be returning to Germany for more treatment but they told me that I needed to sort out the brain tumours before coming back. They suggested Gamma knife (fine targeted radiation), available in London on a private basis. It was a cold January in the UK and I had reached my lowest ebb at this point. Everything really felt too much – I felt like I was not getting anywhere with my healing, I was in despair. I hated being ill – I am someone who likes to have a lot of fun, to dance a lot, laugh a lot, socialise a lot and here I was living alone with my dog, sick and not enjoying my life. I made a decision around that time - I was not going to be ill for a long time. Either I had to get better fast or die. When I thought about dying though, I felt so sad about leaving my dog and my house and garden behind! – also I felt it would be a real waste as I had learned so much in my life and knew that I would be a much better healer than I ever was before, if I could just sort myself out and get this cancer licked. I became very clear that healing completely was what I wanted and I wanted it fast! I was inspired a lot by Esther Hicks who channels Abraham – I have been listening to her every day now for 18 months and I have learned so much about how we create our own reality from her. I realised that I needed to start imagining how it would feel to feel healthy and that I could create health in my body myself by using my mind. I continued with The Gerson Therapy, but made some changes to improve it. I started including more raw food and sprouts. I realised that the therapy had not moved on and that it was no longer the cutting edge therapy that it had once been. Also I realised that I could be doing a lot more with herbs than I was doing. Once I had made the decision that I wanted to heal fast, things started moving quickly! I got hold of a powerful combination of tumour reducing herbs and got extremely creative with them. I made poultices for my cervix using Chapparral, Golden seal, Red clover, Slippery elm and Thuja. I started taking strong decoctions of anti-tumour herbs, and swallowing large amounts of Curcumin – which helps to cut off the tumour’s blood supply. I started doing rectal implants with anti-tumour herbs in order to saturate the pelvic circulation. I also started juicing the wild garlic that had almost taken over my garden – it suddenly occurred to me that my garden was doing it’s best to heal me. Then in February, one of my best friends who lives in London asked me if I had heard of Psych-K , she said it was a way of reprogramming the mind so that you could change your life. I had not heard of it and did not give it too much attention until the next day when another very good friend who lives in Bristol asked if I had heard of Psych-K ! She had been to a talk by a Psych-K facilitator and felt that it could help me. Again it seemed like life was letting me know loud and clear that there was something I needed to do! I went for a session and I was blown away! Using kinesiology (muscle testing) you establish what beliefs are in the unconscious – then you can replace them with beliefs more conducive to having the kind of life you want. 3 weeks after my first session with Mary, I went for a brain scan – the brain tumours had gone! HOORAY! I continued to have more Psych-K sessions and as soon as I could, I underwent the training to become a Psych-K facilitator. Each scan and blood test after that continued to show an improvement in my health. I decided that modern medicine really comes in to its own when measuring progress – I watched as my tumour markers continued to drop lower and lower. The good news is that by June my cervix tumour had completely disappeared – this was nine months after it had been diagnosed. As for my ovaries, there is some scarring and some abnormalities, but I no longer have any cancer in my body. I have my energy and my lust for life back and I actually feel as good now as I did when I was in my twenties. People keep telling me how well I look and nobody can believe I am 43. My visit to Hippocrates helped to consolidate my recovery and I am now enjoying a largely raw, sprout-filled vegan diet with green juicing and fasting one day a week. I have lost my fear of treating people with cancer and instead I now feel really excited about how much I can help. I am also practising again as a Medical herbalist, EFT and Psych-K practitioner.